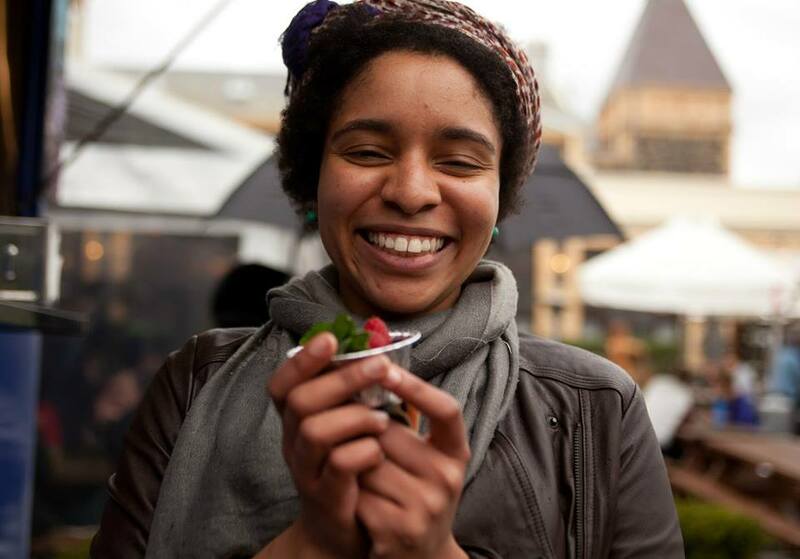 The Brûlée Cart torched its first Crème brûlée back in 2013 @ 'Trailer Park' Melbourne after a successful crowd sourcing campaign. 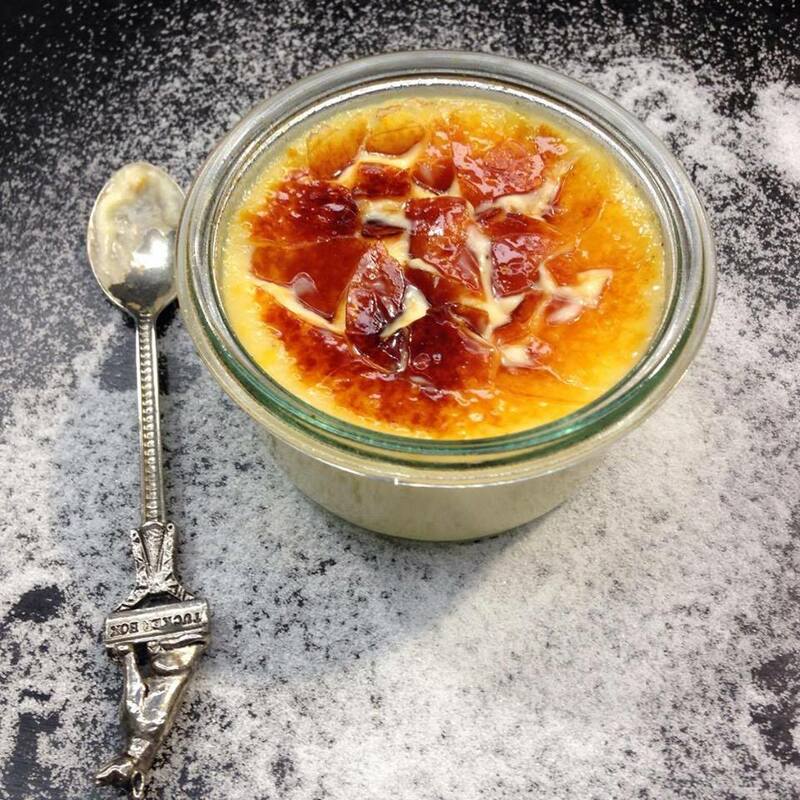 WE SUPPLY Crème brûlée to many cafes & restaurants around town. There's always room for dessert..
** The Brûlée Cart is not currently open at 10/102 Henkel St. Brunswick. We are awaiting council approval before the public are allowed to drop on by. Hopefully this will be in early 2019. Fingers crossed. Large orders (over 25 serves) can be made by emailing jack@whitewheels.com.au. We can deliver if it’s under 20 minutes drive from Brunswick - otherwise a delivery fee will apply. You can find us on Deliveroo Tues/ Wed/ Thurs - 4-9pm. Fri/Sat 4-10pm (or sold out). Brunswick West 5km delivery radius only. We set up at the occasional festival - follow us on Facebook/ Instagram to see where we’ll be torching next. 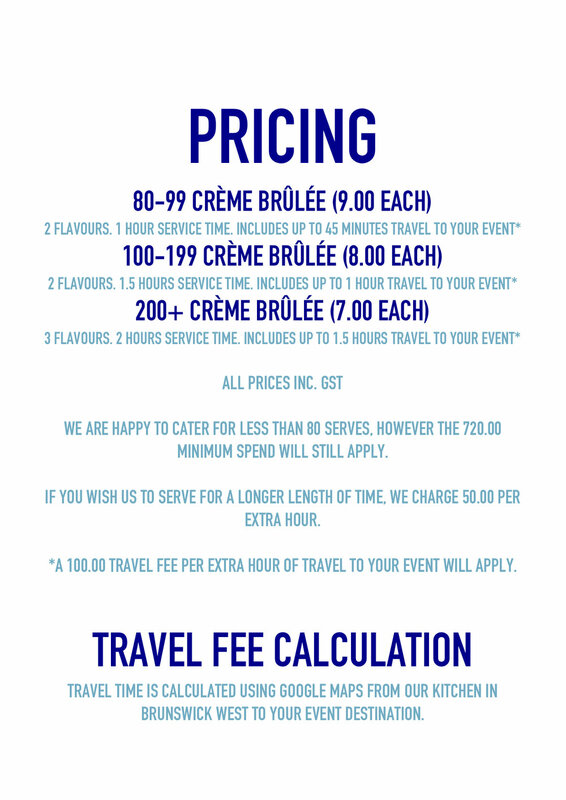 All our Creme Brûlée are torched to order in the following flavours..
Current price of each creme brulee is $4 inc GST with a minimum order of 20 per delivery.